SIB srl is an industrial structure who has produced combustion systems used in civil and industrial field, industrial furnace and machineries for foundries for over 30 years, by its own technologies and know-how, thanks to a very widespread knowleadge both in planning and in production and maintenance phase. 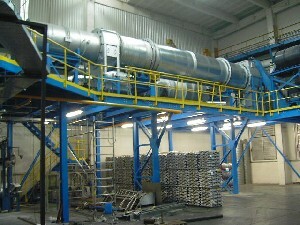 Several applications in the field of aluminium, no ferrous alloys and glass smelting, as well as surface and thermical treatment and steel forging, have generated, in the long run, our technical department for project and construction of industrial of chip-dryer systems, industrial furnaces and after-burner systems. As a whole each system is projected in relation to the customer’s requirements not as a standard, but as a more and less complex process thought in order to satisfy customer’s needs optimizing technical goals and economical results.